India is a content consuming nation and henceforth content marketing helps in attracting the target audience to our website which ultimately gets converted into sales. So there must be a proper strategy to create the content. Here we are sharing some stats dealing with content marketing. B2B content marketing matters a lot. In a research it came out that 57% of purchase decision is made before talking to a supplier. By 2020, customers will manage 85 percent of their relationship with an enterprise without interacting with a human. Not all content has to be original. 48% of marketers curate noteworthy content from third-party sources weekly. 62% of companies outsource their content marketing and a report says that $118 billion was spent on content marketing last year. 70% of consumers say they prefer getting to know a company via articles rather than ads and this is the reason which we saw in a survey that 90% of organization markets with content. 86% of B2C marketers and 91% of B2B marketers use content marketing. Or maybe 93% of B2B marketers use content marketing and yet…54% of brands don’t have an onsite, dedicated content director. There are 27 million pieces of content shared each day over the website through different means like blogs, social media, emails etc. 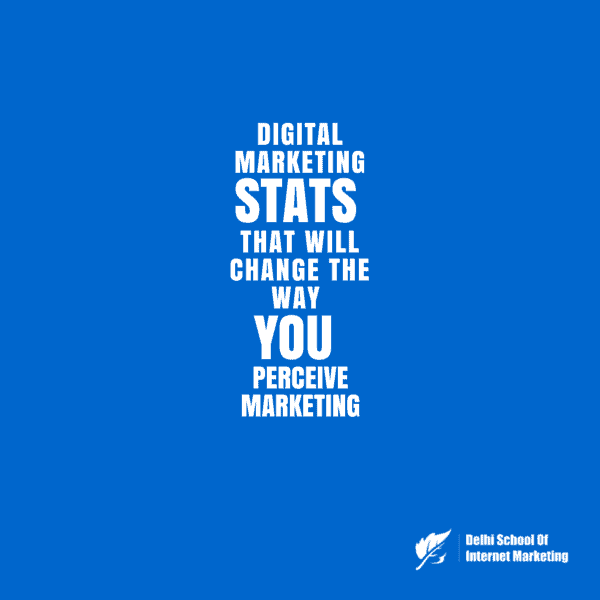 Companies will spend $135 billion on digital marketing collateral this year. Customer testimonials have the highest effectiveness rating for content marketing at 89%. 17% of marketers plan to increase efforts on SlideShare this year. Now after the content marketing, it comes to the turn of Blogging. It is a way to create and maintain the content over the blog. The blog is just like a website which helps in running a business. Blogging is as important as content marketing is for any business. 34% of Fortune 500 companies now maintain their blogs regularly. It is the largest share since 2008. In a research generated, 329 million people read blogs each month. 37% of marketers accepted that blogs are most valuable content type for marketing. Companies that publish new blog posts 15+ times per month (3-4 posts per week) generate five times more traffic than companies that don’t blog at all. Thus for the above reason, 17% of marketers plan to increase blogging efforts this year. Blogging increases web traffic by 55% for brands. Another way to do promotional marketing is through Email marketing. This is the oldest way to reach to a customer which was done using emails. According to the Direct Marketing Association, research firms spent over $400 million in 2006 on direct email marketing. Email marketing delivers the highest ROI (about $44 per dollar spent, on average) of any digital marketing tactic. SEO is #2 while Banner ads have the lowest ROI. Email subject lines matters a lot. Really… 64% of people said that they open an e-mail because of the subject line. Personalized subject lines are 22.2% more likely to be opened. For B2C emails, the words “Alert,” “New,” “News,” “Bulletin,” “Sale,” “Video,” “Daily,” or “Weekly” (though not “Monthly”) all increase open and click-through rates. For B2B companies, subject lines that contained “money,” “revenue,” and “profit” performed the best. Timing is important too. 76% of e-mail opens occur in the first two days after an e-mail is sent. E-mail open rates are noticeably lower on weekends than on weekdays. Only 8% of companies and agencies have an e-mail marketing team. E-mail marketing responsibilities usually fall on one person as a part of her wider range of marketing responsibilities. 72% of B2B buyers are most likely to share useful content via e-mail. Still, the average click-through rate for B2B marketing e-mails is just 1.7%. Emails with social sharing buttons like Facebook, Twitter and other social sites increase click-through rates by 158%. 64 percent of marketers say increasing email click-through and open rates is among their top priorities this year. 67 percent of marketers say that email is key for attracting and engaging prospects, and the best path to increase marketing ROI. Now when we are done with the above mentioned marketing strategy then next is the role of search engine optimization. It is nothing other than a process of bringing any website on the top of the list in a search engine in unpaid result. If any website comes on the top of the list, its visibility automatically increases. So this is an important process to do in an online business process. Here are some stats for SEO marketing. 81% of B2B purchase cycles start with web search, and 90% of buyers say when they are ready to buy, “they’ll find you”. More than half (53%) of the marketers rank content creation as the single most effective SEO tactic. 57% of B2B marketers say SEO has the biggest impact on lead generation. 33% of clicks from organic search results go to the top listing on Google. Video marketing is one of the newest ways to promote any business using the texts and images related to the business and its products. The videos are then uploaded on video sharing sites or are advertised on different websites for promotion. Here are some video marketing stats provided. Pinterest grabs 41% of the ecommerce traffic compared to Facebook’s 37%. Food is the top category of content on Pinterest with 57% of its user base sharing food-related content. 16% of marketers plan to increase efforts on Pinterest this year so as to increase the user engagement on their own website and promote their brand. The use of video content for marketing increased 73% this year; use of infographics grew 51%. Articles with images get 94% more views than those without. Posts with videos attract three times as many inbound links as plain text posts. Thus, 62% of marketers use video in their content marketing. Two-thirds of firms plan to increase spending on video marketing in the coming year.